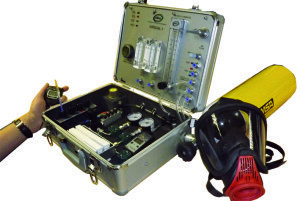 This comprehensive rental breathing air quality test kit is compact, easy to operate and can be used to indicate the level of contamination, as well as, operating flow, temperature and pressure. Sampling of compressed air is fast, with the ability to process results in less than minutes. Concentrations of carbon monoxide, carbon dioxide, oxygen and oil & mist can be determined almost instantly without further lab analysis.